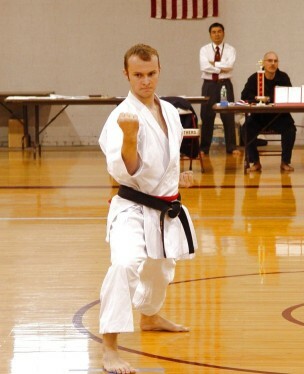 Mike Jacobs (1st place mens black belt kumite) and Ryan Jacobs (2nd place mens black belt kumite, 4th place kata) face off in the kumite final match. 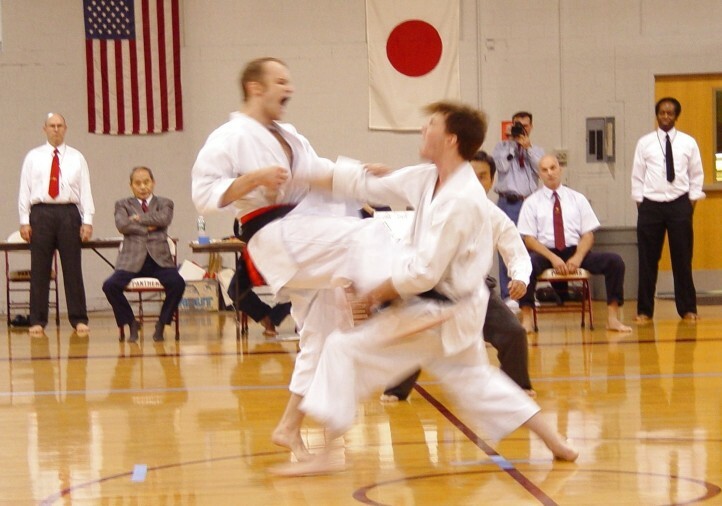 Mike Jacobs and Ryan Jacobs clash in the kumite finals. 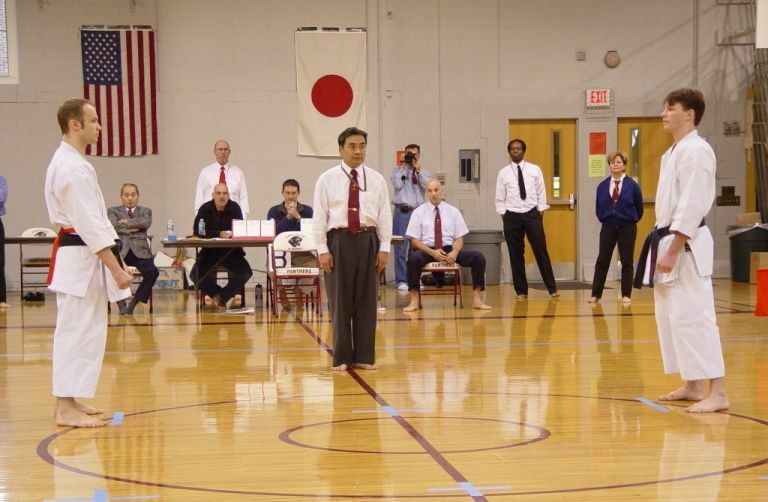 Nicole Dinicola (3rd green belt kumite) and Chrissy Phalstaf. 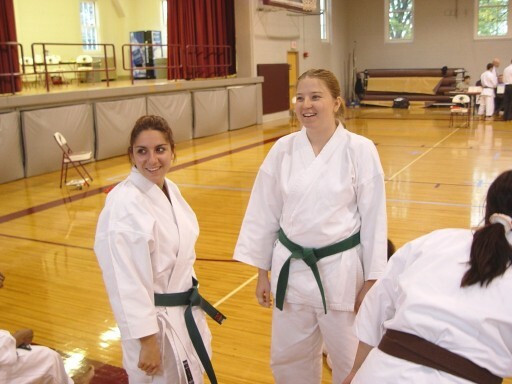 Abby Barrera (2nd green belt kumite, 4th kata), Melissa Gernat (2nd green belt kata, 3rd kumite) and Nicole Dinicola.